You’ve got just two short weeks until Halloween . . . What chilling plans are you concocting? Something big and Spooktacular? 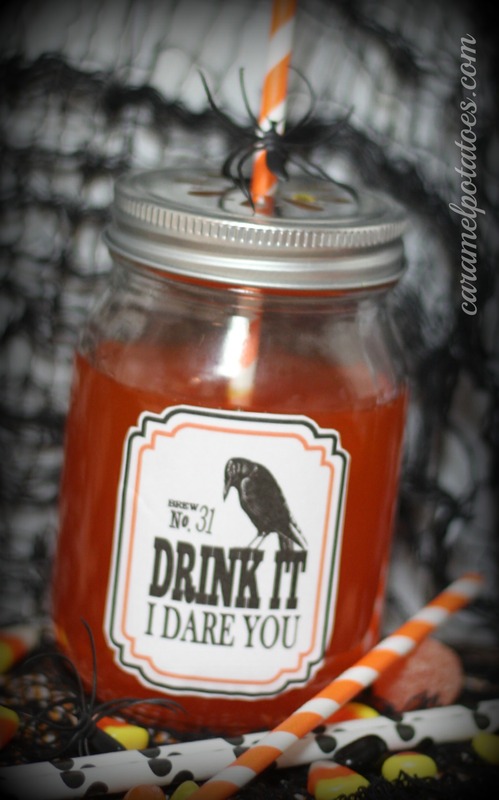 Or a simple little Bewitching evening at home? 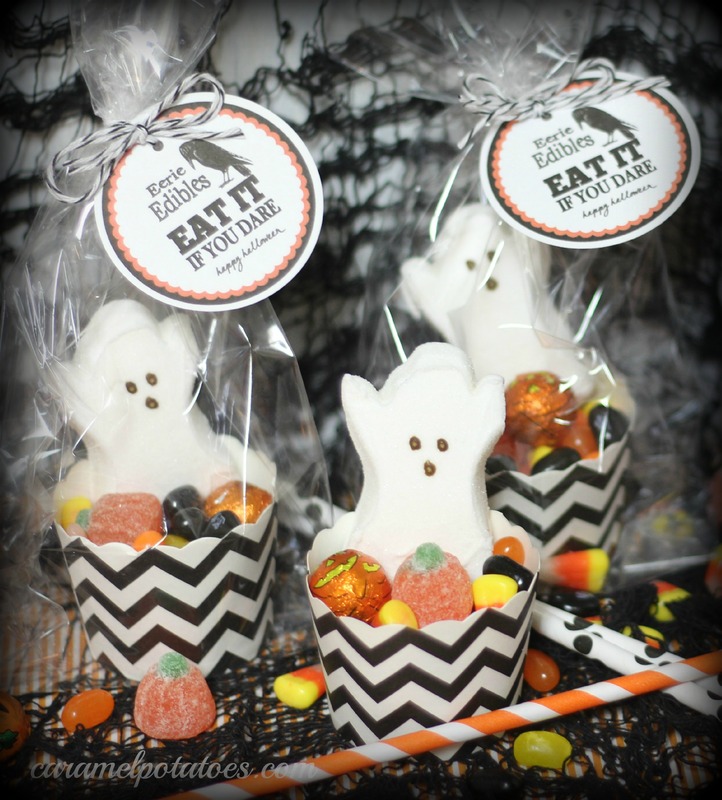 To help you vamp things up a little, we’ve brewed up some Boo-tiful Bling to make you The Ghostess With The Mostess! 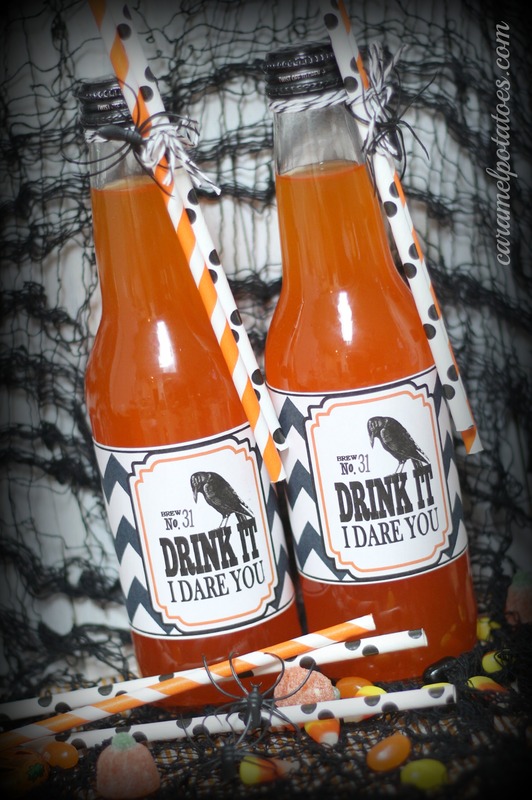 Drink labels add a touch of fun to your Halloween festivities. 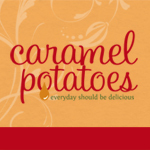 Whether you are having the big bash or just want to add some intrigue to your family dinner, these labels offer a chilling challenge. Serve with your favorite beverage. 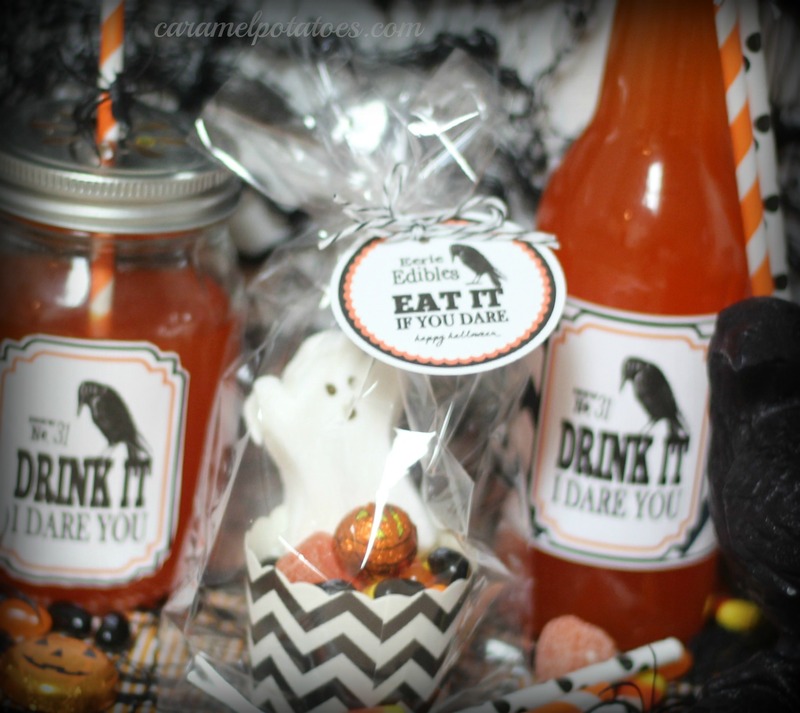 I used Jones Orange Soda – the Green Apple would be fun too. If you prefer, mason jars are always fun- just print out the drink tag on full sheet shipping labels available at office supply stores. Cut and Stick! 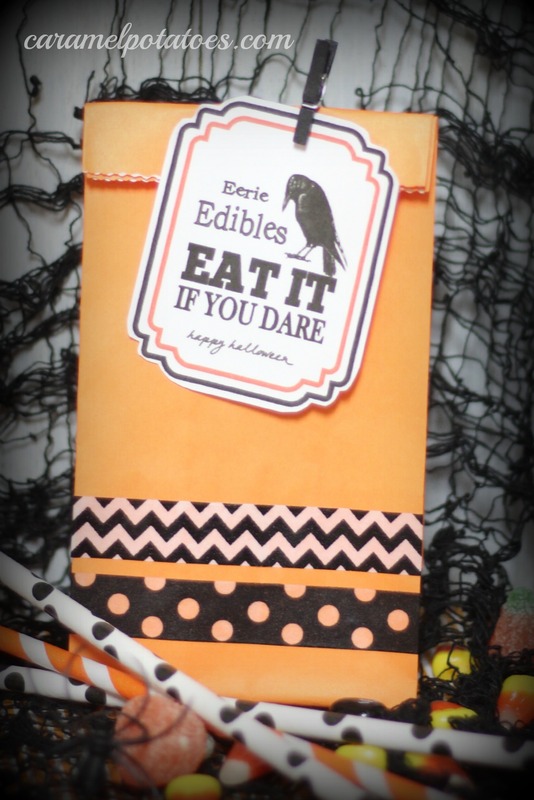 Want to wrap up some goodies for your favorite goblins or send your guests home with a tempting treat? Use a small craft bag with a little washi tape and tag for an easy way to cast a magical spell on your web of friends. You are very welcome- have a great halloween!